Named for the city of Pompeii, the Pompeii gladius was a popular weapon in its time. 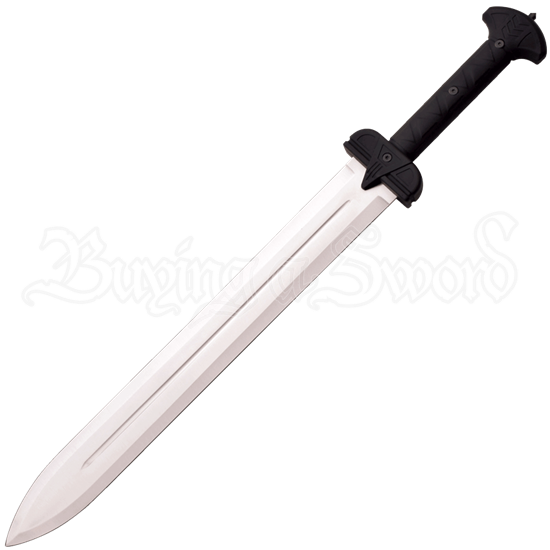 The Satin Finish Pompeii Gladius is an excellent replica of this Roman sword design, showing off the traditional features of the blade type. The Pompeii gladius is known for its triangular tip and parallel cutting edges, as seen in this sword. This Roman gladius is crafted from thick stainless steel with a satin finish that contrasts the black nylon handle. This stainless steel gladius is intended mainly for decorative purposes, and it makes an excellent prop for theatrical productions. The ornamental gladius comes with a nylon sheath for ease of transport and storage.